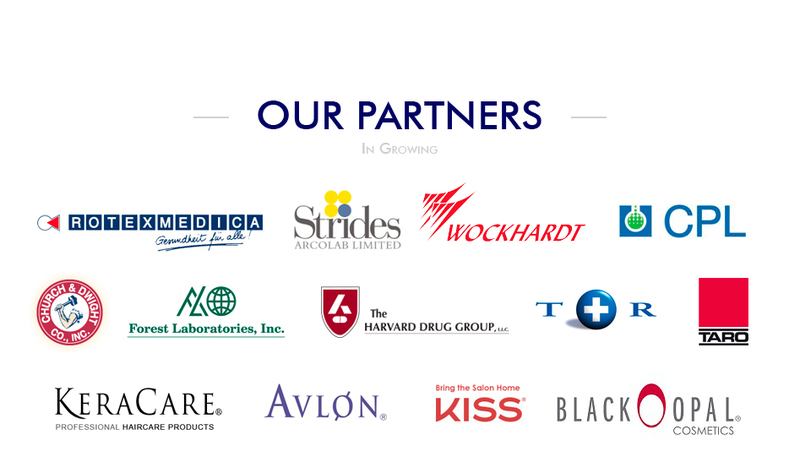 The company represents 50 companies, which manufacture a wide range of prescription pharmaceuticals and over the counter and personal products. Our fully equipped warehouse allows for and enables our clients' orders to be delivered in an efficient and timely manner. In accordance with our tropical climate, very close attention is paid to temperature regulation and as such, our facilities are designed to facilitate proper storing conditions of all our products, including refrigerated and temperature controlled items, while at the same time backed up with a 350KW generator for the protection of perishable goods to better serve our customers at anytime. Commonwealth Drugs is a supplier to hospitals, pharmacies, doctors' offices, clinics, etc. throughout the Bahamas and the Caribbean. Commonwealth Drugs is an exclusive distributor for a number of pharmaceutical manufacturers and beauty supply product manufacturers in their area. The company has expanded considerably, standing among the leaders of the Pharmaceutical and Health and Beauty Distribution Companies. The acquisition of premier pharmaceutical and OTC manufacturers, establishes Commonwealth Drugs as an internationally recognized business entity. Based in a self-contained facility, CDM offers first class support in every aspect of pharmacy and medical needs. Whether by telephone, email or fax, orders are filled efficiently and delivered twice per day to all local pharmacies and medical institutions. Our in-house logistical department manages and tracks all off-island shipments in addition to the brokerage of all our imports. Medicine is important, therefore CDM goes out of its way to take care of its customers. Our facilities are designed to ensure quality control of all the products we distribute. Items that need refrigeration are handled properly from shipment to storage. Our medicals warehouse is temperature-controlled and can meet the needs of any product that requires special temperature and storage for proper administration. The warehouse also considers factors such as moisture control and proper handling of packages to ensure that clients receive the medication in its truest essence. We are the distributors for major Schedule 1-4 controlled substances, and we are the licensed importer of these substances.